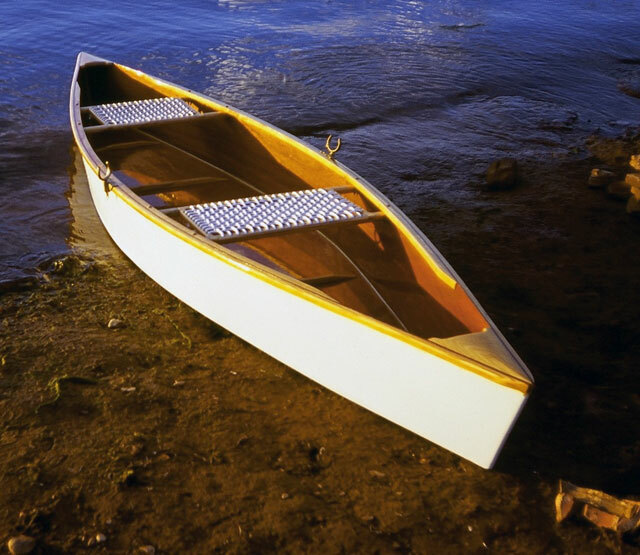 John Burke built this pirogue using the Zydeco 14 plans by Applegate Boatworks of Veneta, Oregon. He writes "it is 13'3" in length and 34" in beam, constructed of 9mm okoume plywood on the bottom, and 6mm for the sides, a total of two 4 x 8 sheets were needed to construct the hull. The bottom is covered with fiberglass and epoxy and covered with a coat of latex house paint. The interior is epoxy-coated and varnished with three coats of varnish. The wales, ribs, breasthooks, and seat frames were all fashioned from one plank of white ash, epoxy-coated and varnished. The seats are woven using 1/4" rope. 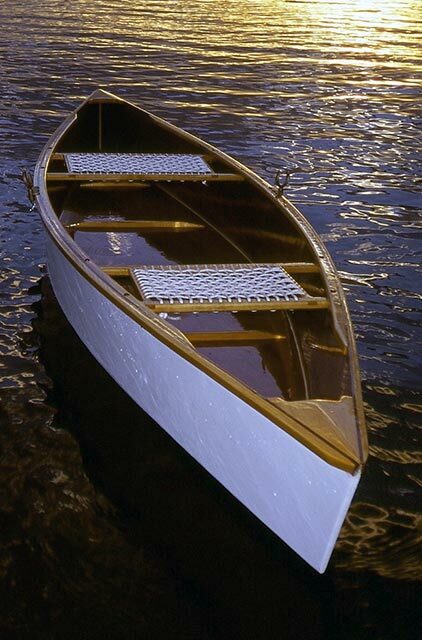 I launched it for the first time on July 4, 2004 and have been pleased with how easily it paddles and handles. I wanted something that would go on the roof rack and allow easy access to the lakes and ponds of the mountains of Utah for fishing and exploring." Email John at johnduck@xmission.com.